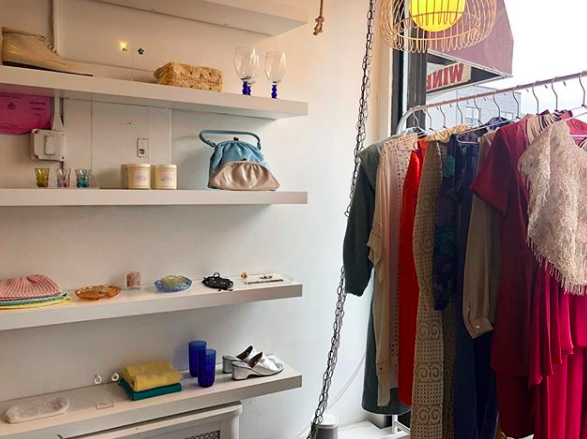 Bushwick is increasingly becoming a hub for secondhand shopping, as many make the trip from every burrough to score a funky ‘80s dress from Urban Jungle or a dad-on-vacation t-shirt from Flamingos for just a few bucks. Though the art of thrifting is nothing new to the typical Bushwick resident, the simple act of choosing to scavenge secondhand shops for unique pieces instead of resorting to mass retailers makes a big impact. Since 2014, the worldwide organization Fashion Revolution has dedicated the month of April to educate consumers on sustainable fashion practices from production methods to better consumption methods. The official Fashion Revolution Week starts on April 22 and runs until April 28. Fashion Revolution began in 2014, a year after the Rana Plaza factory collapse, which killed 1138 people garment workers in Bangladesh. 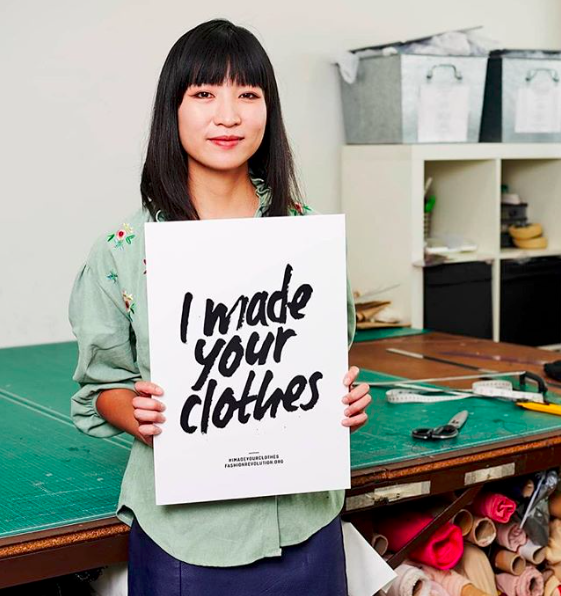 The movement started with the hashtag #whomademyclothes, challenging consumers to ask their favorite brands where exactly their clothes came from. Every year the movement continues to grow, raising awareness on not only the importance of ethical production practices but also the effect of the fashion industry and consumer habits on the global environment. “At the moment, most of the world lives in a capitalist economy. This means companies must increase sales growth and make profits in order to succeed — but crucially, not at the expense of peoples’ working conditions, health, livelihoods, dignity and creativity, and not at the expense of our natural environment,” The Fashion Revolution website points out. In light of moving toward a more sustainable fashion industry, Fashion Revolution is hosting a slew of events in New York City that anyone can attend. These events include panel discussions with eco-conscious designers, brand showcases, and networking seminars; all of which are free and open to the public! Fortunately, New York City, and Bushwick specifically, is the perfect place for those looking to support local designers and practice sustainable consumption. 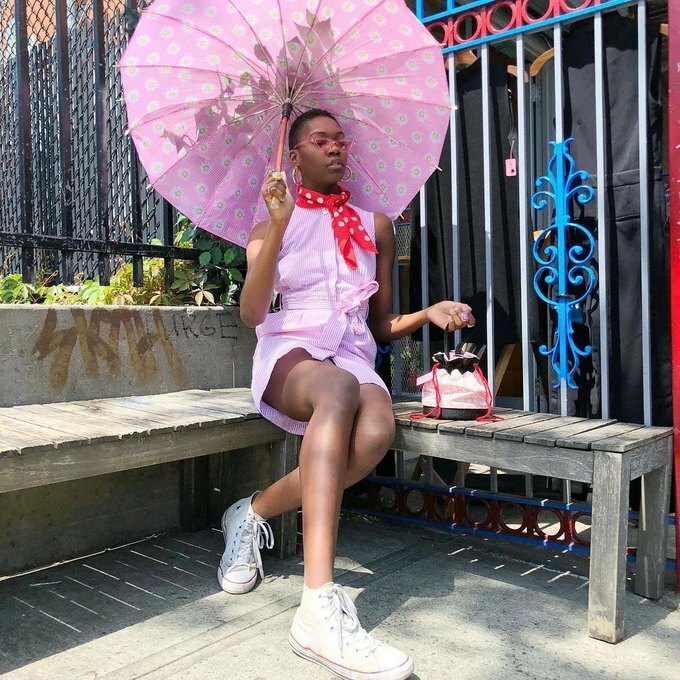 If you want to celebrate Fashion Revolution week this year by sprucing up your spring wardrobe, take a look at Bushwick Daily’s guide to shopping locally and sustainably. Courtesy of L Train Vintage. Probably the most well-known chain of thrift stores in the hood. 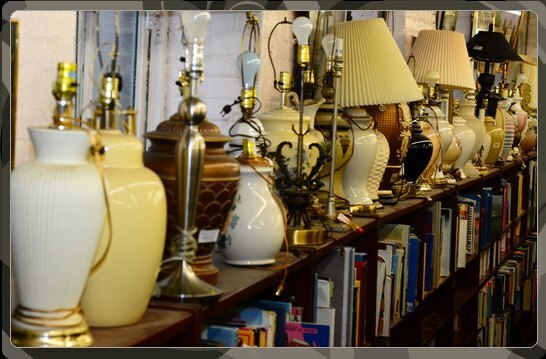 Established in 1999, L Train Vintage is the perfect shop for those in the mood for treasure hunting. 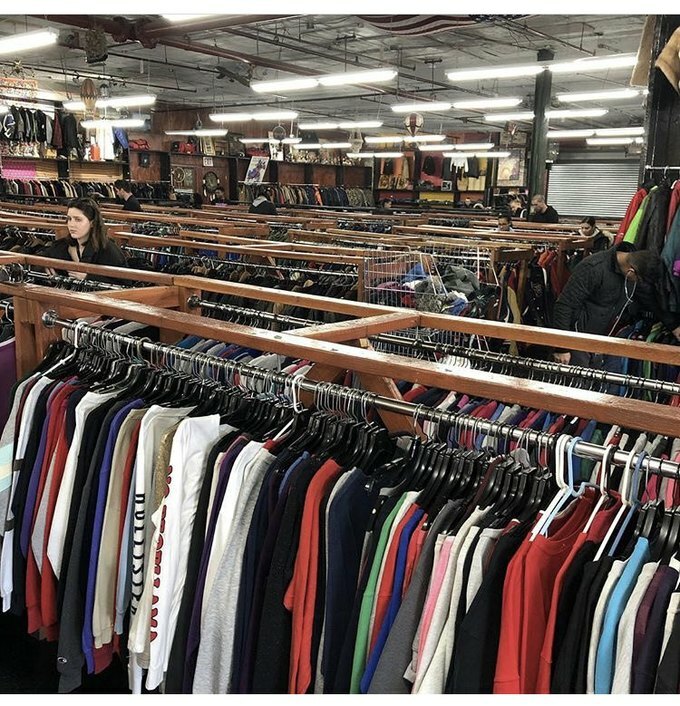 With a few locations around Bushwick and one in Manhattan, it’s easy to spend hours sifting through gently used western wear and printed tees. Flamingos Vintage by the Pound is a worldwide thrift chain that has two locations in Bushwick. Unlike other mass retailers however, Flamingos focuses on making secondhand shopping fun and accessible to all consumers. With a similar selection to L Train, Flamingos is great for buying in bulk, because you pay by the pound. “Customers experience a new way of dressing, not following conventional social rules. The formula has been extremely successful, a lot of people have connected through their experience on Flamingos Vintage,” the website states. Village Green is another warehouse-like thrift store dedicated to sifters. Resembling your grandmother’s basement or garage, Village Green is packed floor to ceiling with not just clothing, but furniture and knickknacks as well. Collections is a lovely little vintage boutique on Wilson avenue that has a diverse range of clothing from t-shirts to early 2oth century gowns. The experience of shopping at Collections is personal and more like playing dress up rather than hunting for clothes. The staff are informative and caring, and the prices are reasonable enough to forgo mass retailers, especially when looking for something special. With a focus on community, GG’s is more than just a vintage shop: it’s a creative space that focuses on community building through collaboration. Though the shop is curated, it is a donation-based thrift store that aims to connect people through the art of thrifting while cutting down on waste. “NYC residents discard 193,000 tons of textiles every year, at a cost to taxpayers and our environment. By buying used clothing from us, you are helping to keep this resource (about three tons of it) out of the landfill,” the website states. Courtesy of Chess and the Sphinx Instagram. 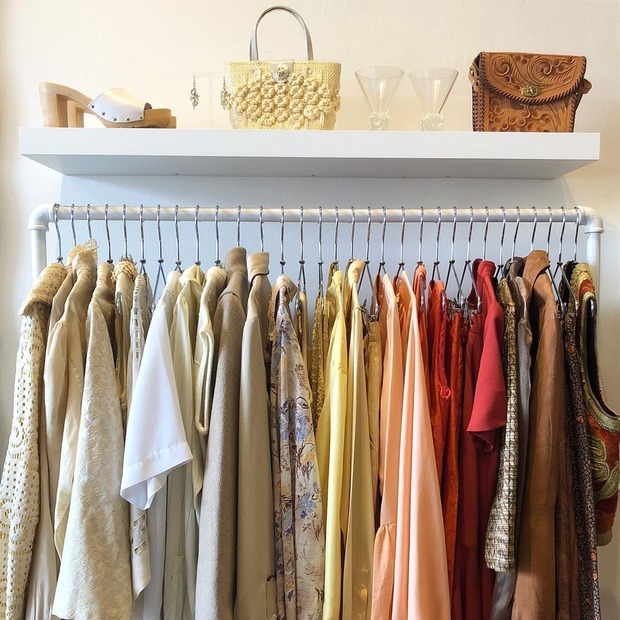 Located on Knickerbocker, Chess and the Sphinx is a more historically informed consignment store that focuses on the persistent of good style over a span of generations. This little gem is perfect for a special occasion piece or a look for a themed party. Garment by Mallison. Via @uggiebbboy's Instagram. 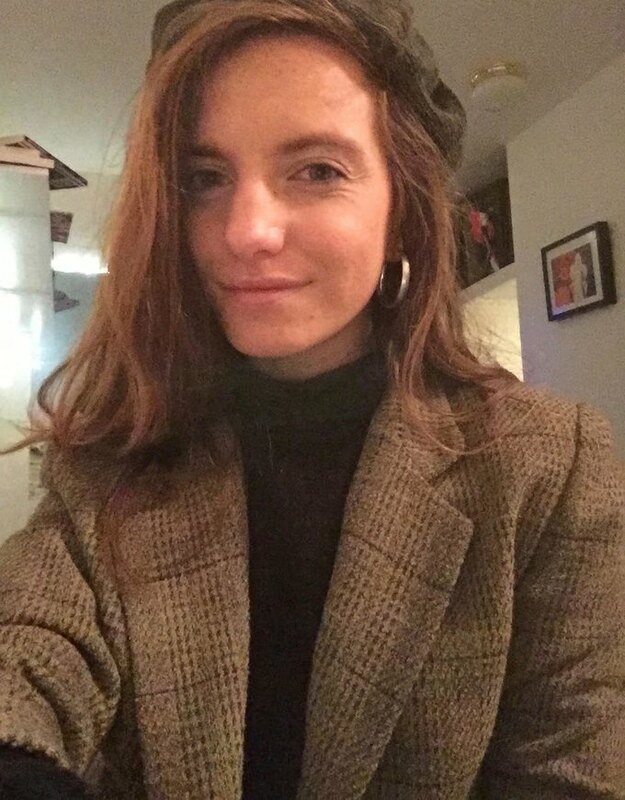 Mallison sells her items exclusively on Depop as well as at Café Forgot, a travelling pop-up shop that focuses on exhibiting independent and upcoming designers. 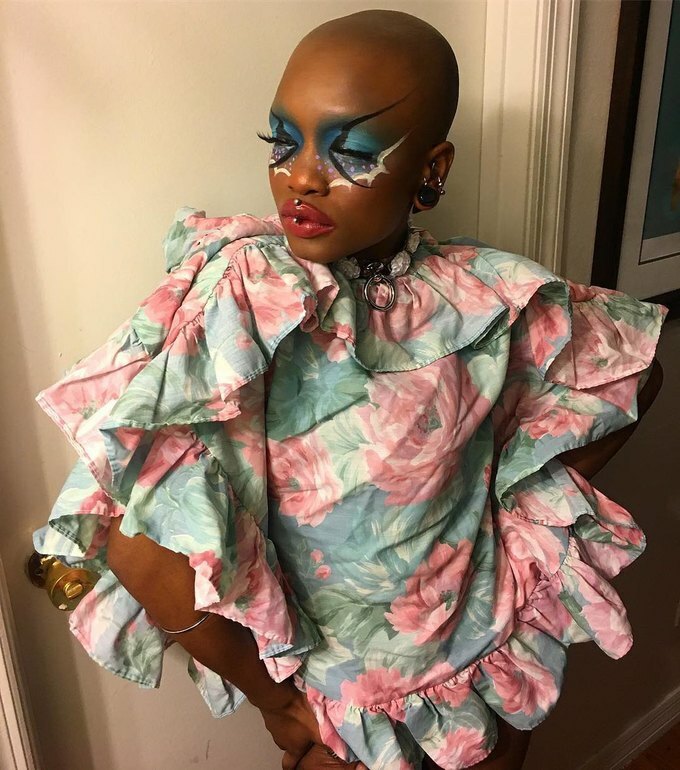 A designer recently featured in Bushwick’s Fashion show, Hoff makes psychedelic yet form flattering onesies, “especially for women with larger chests and curvier frames.” Her designs are fierce and versatile, and perfect for a night out on the town. 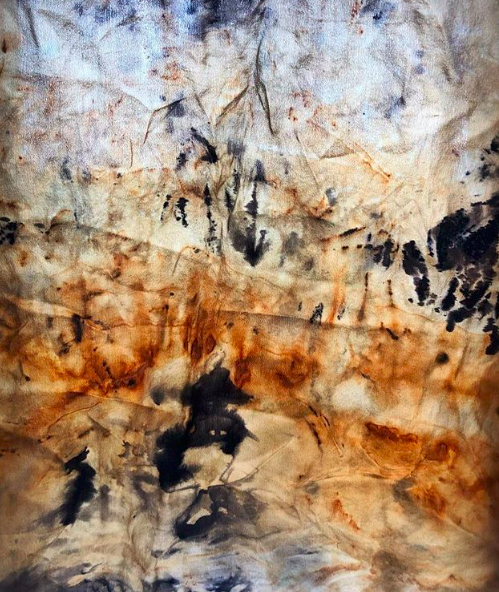 Hanoux, “to heal,” is a sustainable clothing brand that produces “clothing for movement, original wallpapers, interior fabrics and custom textiles for events and spaces.” All the textiles are dyed using shibori methods, which binds fibers close together in order to produce spider-like designs. Hanoux, Along with Hoff, was featured in the Bushwick Fashion Show. Their new collection of “Cat Suits” will be launching this month for both men and women. Beacon’s Closet sell, trade, buy! To find out more about Fashion Revolution, go here. Cover image courtesy of Collections.